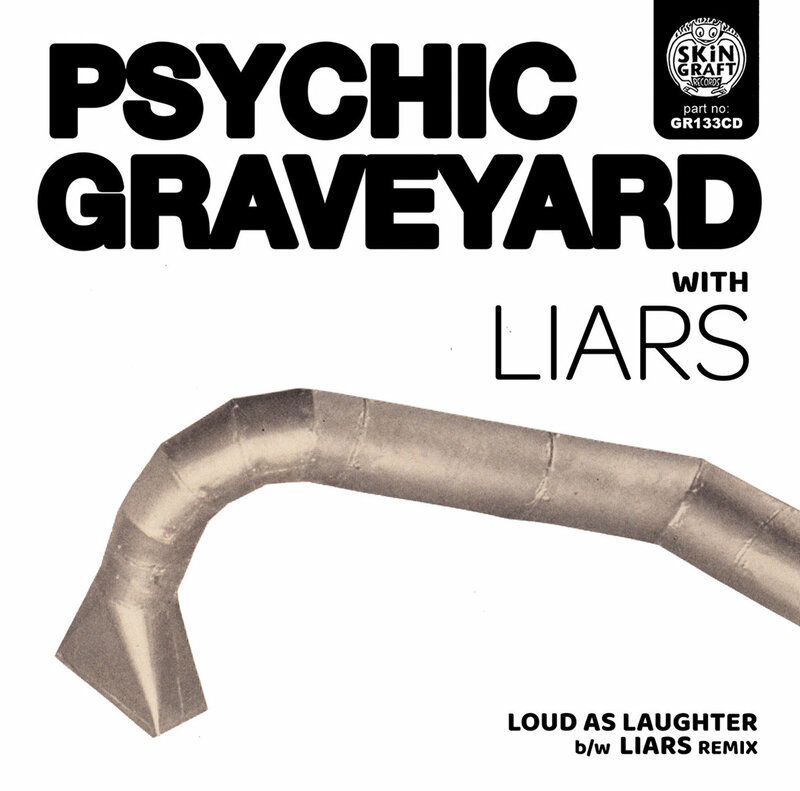 After their fiery debut single and its accompanying remix by MSTRKRFT, the newly emergent, Psychic Graveyard, reveal an excellent sophomore piece from their forthcoming debut album, the title track, Loud As Laughter, this time including a remix by Liars. Relentless from its first second, the song is another mad, hard hitting noise rock exemplar, while a more intricate version of it, the remix by Angus Andrew, shifts the song's bluntness to something disparate and much more sinister. "I began playing in Psychic Graveyard shortly after my son, Wilder was diagnosed with Autism Spectrum Disorder," says band member, Eric Paul, explaining how Loud As Laughter comes from a completely inherent place. "While my love for my son is infinite, the diagnosis was very difficult for me. One of the more challenging aspects of my son’s development is his struggles with language. He is now 3.5 years and still non-verbal. But still, we communicate in ways that I didn’t think were possible. Like many of the songs on the upcoming Psychic Graveyard album, the lyric for Loud As Laughter expresses the pain, confusion, and beauty of this journey that I’m on with my wonderful son." Comprised of Eric Paul (Arab On Radar, Chinese Stars, Doomsday Student), Paul Vieira (Chinese Stars, Doomsday Student), and Nathan Joyner (Some Girls, All Leather, Hot Nerds), Psychic Graveyard are set off to an impressive start, and we'll be hearing much more from them in the coming weeks.